Figure 1. Cam Follower Removal. Remove cam follower (Figure 2, Item 4) from heated lubricating oil. Position cylinder head (Figure 1, Item 1) on two wooden wedges (Figure 1, Item 2). (Figure 1, Item 5). Discard lockwashers. 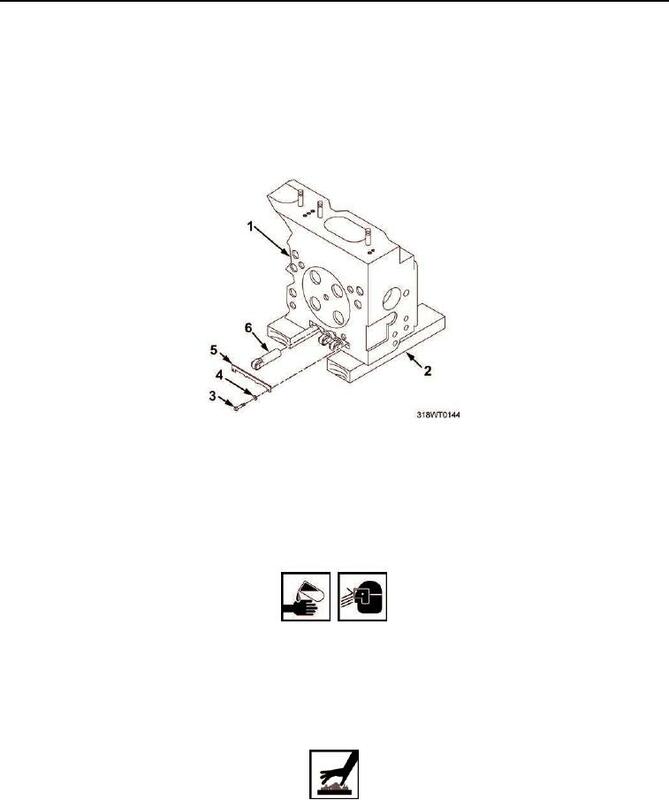 Remove cam follower guide (Figure 1, Item 5) from cylinder head (Figure 1, Item 1). Remove cam follower (Figure 1, Item 6) from cylinder head (Figure 1, Item 1). Fuel/Oil may cause irritation to eyes or skin. Wear protective goggles, gloves, and clothing. Using cleaning cloth and lubricating oil, remove preservative from new cam follower (Figure 2, Item 4). Using cleaning cloth, dry cam follower (Figure 2, Item 4). Immerse cam follower (Figure 2, Item 4) in lubricating oil heated to 100 to 125°F (38 to 52°C) for one hour. Rotate cam roller every fifteen minutes.